The Cat Who Came for Christmas was written by Cleveland Amory. 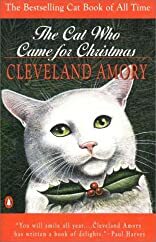 The Cat Who Came for Christmas was published by Penguin Young Readers Group. About Edith Allard (Illustrator) : Edith Allard is a published illustrator and a translator. A published credit of Edith Allard is Cat Who Came for Christmas.